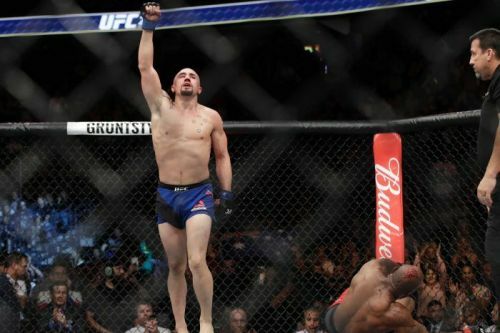 UFC 234: Whittaker vs Gastelum is set to be a huge occasion for one Robert Whittaker. After all, a first title defence is one that no one can forget. Whittaker's first defence was supposed to come last year when he faced Yoel Romero in a rematch for the title, but unfortunately for Romero, he missed weight. Whittaker still came out with a win on that occasion, solidifying his reign as Champion. Heading into UFC 234, he is looking to add to his credentials even further, with an actual defence of his UFC Middleweight Championship against Kevin Gastelum. Before he entered the Octagon, however, I got the chance to pose some questions before him. Tune in to Sony ESPN and Sony ESPN HD for all the action from UFC 234: Whittaker vs Gastelum at 8:30 AM. Q. You are currently on a huge nine-fight win streak defeating some of the top fighters in UFC. What is your confidence level like going into this fight against Kelvin Gastelum? It’s the same level (of confidence) as any other time I fight, I don’t really look too much into my winning streaks. I could have lost to any one of them, that’s the fight game. Someone has to lose and someone’s going to win. I go into any fight 50/50, no matter how much work I’ve done, yeah I am just going to try and swing it in my favour. Q. You've talked about representing Australia and New Zealand in the past. What does that mean to you? They are both my countries, I was born in New Zealand and I was raised here in Australia, so it’s where I am from. I love them both, even though they have a little love rivalry sometimes, it’s one of those things, the arse-end of the world. Q. After this fight, would you consider trying your hand at another weight class and becoming Double Champion? Yeah, anything is possible, I am not looking too much further than this fight but yeah, anything is possible. Also Read: 4 UFC and Bellator fights to look forward to from this weekend. Follow Sportskeeda for all the latest news about UFC, Bellator MMA, and the MMA world.